While the kids can hardly wait for the last day of school, parents often go into freak-out mode in May wondering what they’re going to do come summer. With some easy-to-follow advice, this time of year doesn’t have to be stressful or expensive. Meet Rosalyn Hoffman – lifestyle guru, mother of two, and author most recently of SMART MAMA SMART MONEY: Raising Happy, Healthy Kids Without Breaking the Bank (NAL Trade Paperback Original; Spring 2012; $15) and the companion blog www.smartmamasmartmoney.com. From cradle to college, she has shopped the world, made the meals, balanced the books, mastered the technology, and charted the courses to give you the goods on finding what your kids need without losing your shirt…or your sanity! • Camp on a budget. • The lemonade stand – use this popular summer activity to teach kids about goods and services, how products come to the market, money, etc. • Summer is a perfect time for DIY – teach kids to make their own clothes, plant gardens, even help out in the kitchen. With flexible summer schedules it’s a good time to get into good, healthy, budget-conscious routines. • Summer Olympics – learn the pros and cons of participation in sports, dropping out, buying equipment, etc. to tie in with what is sure to be one of the hot topics of summer 2012! • Family Camp (Not Family Camping) – a great value for a family vacation. • Food—this is the time of year that produce is most bountiful so people are thinking about organic vs. local vs. regular. Roz can suggest ways for busy moms to get healthy food on the table. Check out the new book and the blog! TORN to be featured on THE TODAY SHOW on 6/24/11. Samantha Parent Walravens, editor of TORN: True Stories of Kids, Career & the Conflict of Modern Motherhood (Coffeetown Press, May 2011), will be featured on THE TODAY SHOW on 6/24/11. Lisa Belkin, columnist for the Motherlode column in The New York Times, interviews TORN editor Samantha Walravens in her 6/20/11 column: Are Moms and Dads Interchangeable? The New York Times Motherlode Book Club chooses TORN as the 1st pick! Lisa Belkin, parenting columnist for The New York Times, is introducing the Motherlode Book Club & she’s chosen our client’s book, TORN, as her 1st!!! 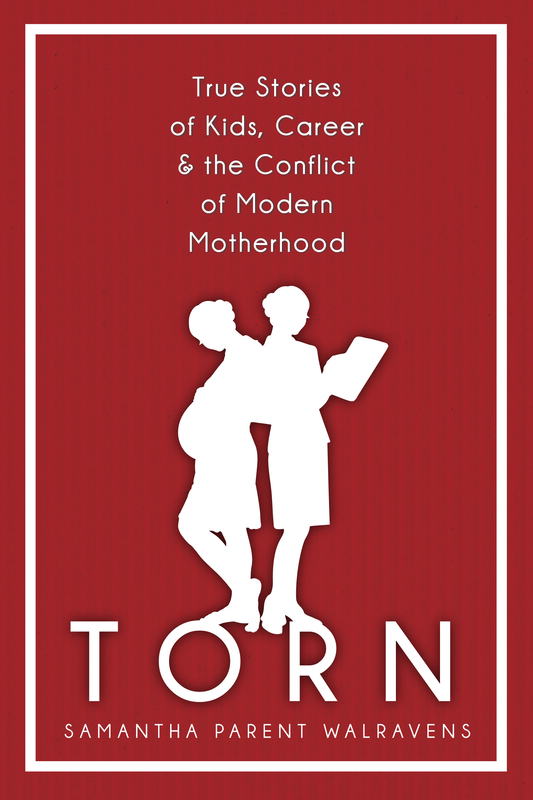 Abi Cotler-O’Roarty, one of the great contributors to TORN, has written a great article for The Huffington Post about the work/life struggles mothers encounter in today’s world: The Huffington Post.